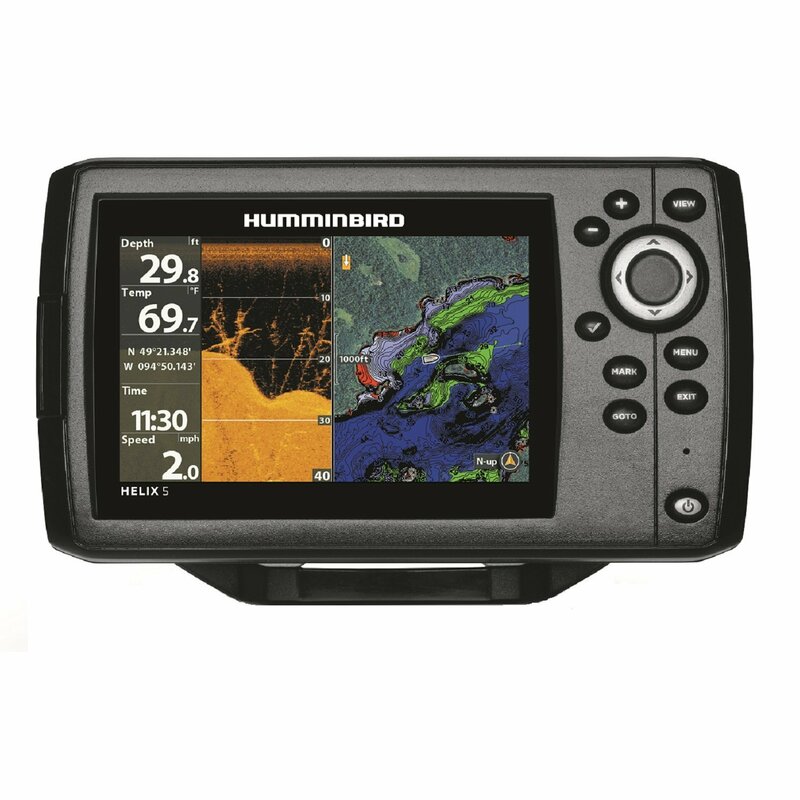 Garmin Oregon 450 | Our full unbiased review and more on marine electronics. The Garmin Oregon 450 is a compact full-mapping handheld GPS with touchscreen control of its sophisticated functionality. This Garmin portable GPS is the latest iteration in the Oregon lineup; it adds significant memory capacity and doubles the maximum number storable waypoints. The 450 features a high-sensitivity GPS sensor, built-in base map, 3-axis tilt-compensated electronic compass, altimeter, microSD™, and the ability to transfer data wirelessly with similarly capable Garmin handhelds. A couple earlier Oregon models are still available from Garmin, the hardware in each of these handheld GPS units is the same. Only the onboard cartography varies. The Oregon 300 features a world base map, while each variant of the 400 adds specialized mapping. The 400t is preloaded with U.S. topographic maps, 400i has U.S. inland lakes, and the 400c packs U.S. BlueChart cartography. The new Oregon 550 adds a 3.2 megapixel camera to the device. The Oregon is a small unit overall and measures just 4.5-inches tall, 2.3-inches wide, and 1.4-inches thick. With a pair of AA batteries installed it weighed only 7.0 ounces on my scale. A single on/off pushbutton is molded into the case side. The 450 is packaged with a USB data cable, carabiner-style belt clip, owners manual, and quick start guide. For our test only, Garmin also shipped a 4GB microSD™ card packed with local marine charts. The addition of the BlueChart g2 cartography is what really turns this trail-bred handheld into a top-notch marine navigation device. The Garmin Oregon 450 is easiest to operate when holding with one hand and activating onscreen prompts and commands with your free hand. Pages are selected by pressing the icon. This unit has a side mounted on/off switch that also brings up a brightness menu with a quick press when the unit is turned on. All other actions are accomplished using the touch screen interface. Six page icons are displayed at one time on the main menu page, several more page icons can be shown by pressing the next page arrow field. Pages I found most useful were Map, Where To, Compass, Mark Waypoint, Waypoint Manager, and Trip Computer. Since our test unit was equipped with optional BlueCharts the Map page showed very detailed marine charts. The Where To page offers the user a long list of places to go that includes waypoints, tracks, navaids, marine services, and more. The compass page features user selectable data boxes and a large compass rose. Lots of chart detail is shown when optional BlueChart cartography is onboard. Data boxes are user adjustable. From the Map page you can simply touch the screen to create a destination for navigation. Doing so however does not save the destination as a waypoint. To create and save a waypoint you’d need to go the Main Menu page and select Mark Waypoint. Then choose to save the point or save and go directly to the edit waypoint menu. From here you can change the name, position, symbol, or add a comment. Routes are built and saved easily from the Route Planner page. I built a short route by touching the screen on the map page and adding more points in sequence the same way. It took just a few seconds to build a usable route. You can also select route waypoints from the waypoint list or a variety of other sources. The 450 has 850 MB of built-in memory and will store up to 2000 waypoints and 200 routes. By adding an optional microSD™ card the information storage capacity is increased significantly. The majority of the Garmin Oregon 450 front face is filled with a 3.0-inch color TFT display screen. The screen is 1.5-inches wide and 2.5-inches tall, it boasts a very high 240 x 400 pixel resolution. There are no pushbuttons on the face of this unit, almost all operations are controlled with the touch fields you’ll find onscreen when you turn it on. I viewed the Garmin Oregon 450 display screen outside in bright sunlight and found it very readable. It dimmed very little when I donned my polarized sunglasses but does darken when tilted at certain angles. I am rating the Oregon touch screen a good for daylight viewing and excellent for low light and nighttime use. To activate the unit’s man overboard function requires the user to go to the main menu, find the MOB icon, and then select it. From there it was best to choose the compass page for navigation data back to the MOB waypoint. Certainly not the best MOB function we’ve seen in a handheld GPS unit. The compass page offers easy to follow navigation data. Bearing pointer is shown, will also display course deviation indicator. The Oregon 450 shares a special feature with a few of its cousins, including the Colorado, Dakota, and the new 78-series. It can wirelessly share data like waypoints, tracks, and routes with another compatible Garmin handheld GPS. Screen redraws on our test unit were fairly slow, it took several seconds to complete the redraw of all onscreen details when ranging the chart in or out quickly. The basic map showed up fast after a range change but the rest of the fine details took some time to display. This Garmin portable GPS is rated waterproof to IPX7 standards, meaning it can be submerged to a depth of 1 meter for 30 minutes without suffering any damage. The unit carries a 1-year warranty. The Garmin Oregon 450 passed both our dunk test and drop test with no problem, but does not float. With the optional BlueChart cartography installed the Garmin Oregon 450 makes a potent touch screen portable marine navigator. However, without these marine specific charts installed I’d opt for another model like the Garmin Colorado 400c or Garmin 78sc when boating applications will be the primary use.